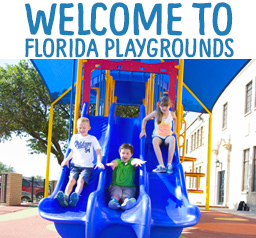 Florida Playgrounds is a family owned business bringing you the best products in the market, to insure quality, value and safety. 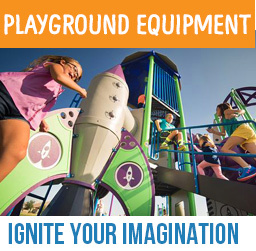 We are a full service playground company with more that 15 years of experience. We are licenced, insured and certified installers. 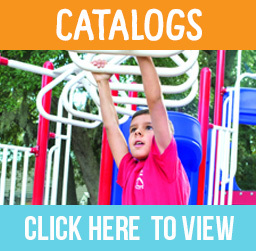 We offer our customers a full line of products and services raging from playgrounds equipment, shaded strutures, safety surfaces, outdoor amenities and playground planing. Ensuring that your playground has the proper type of Playground Equipment and Safety Surfacing is a proven factor in reducing life-threatening head and body injuries. Appropriate Playground Equipment and Surfacing types include any material tested to ASTM F1292 such as Engineered Wood Fiber (EWF), Shredded/Recycled Rubber Mulch, Poured-in-Place or Sand. Installation of Poured-in-place rubber (PIP) as well Repairs and Sealing of your Playground Safety Surface is also one of our specialties. If you have a problem with your Pour-in-Place such as cracking, not draining properly, peeling, shrinking or soft spots of which are a big hazard, let us visit your facility and give you a free no obligation estimate. We can explain and recommend what types of repairs will be right for you.